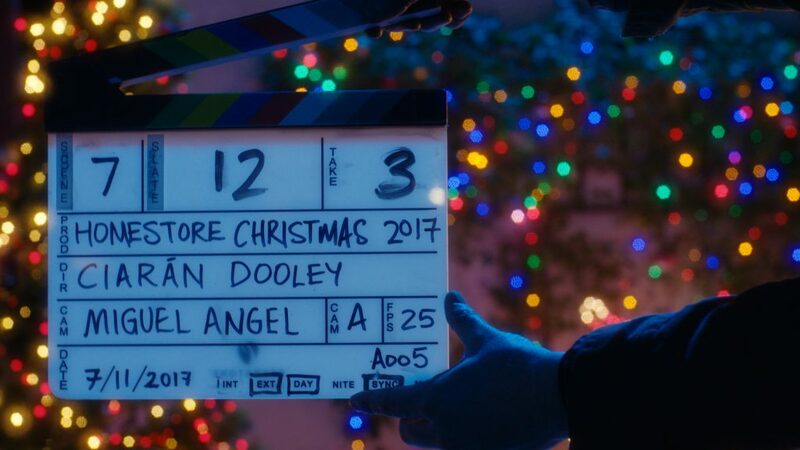 Last night we finished the Christmas commercial for Homestore + More and we are really happy as it turned out to be a really good shoot. Ciarán directed it amazingly well and all the cast and crew delivered their best. Can’t wait to grade it, which I think, will take place in about 10 days in Elements Post-production in Dublin.